For decades, farming in Nigeria has been considered a vocation for rural communities that attracted meagre profits. But this perception is changing. More urban-based, professional women are taking up farming as a business, using modern technology to make it more lucrative. Nigerian officials say the 82 young women released by Boko Haram extremists this month are now joining those already freed in a special rehabilitation program. Aisha Alhassan, minister of women's affairs and social development, said Tuesday that the women will attend months of remedial studies. They will have doctors and nurses available to help them heal from the trauma of three years in captivity. Some have criticized how the freed women have remained in Nigeria's capital instead of rejoining their families. But Alhassan says they are in Abuja "with their full consent." The young women will not be returning to rural Chibok, where they were abducted from school in 2014. Officials say they will be placed in other schools in September. Nearly 300 schoolgirls were seized in the mass abduction. A sports program in Nigeria supporting rural youth is producing top track athletic prospects in the country. And as CGTN's Sophia Adengo reports, it is also showcasing their talent on the national stage. The library’s public division is located in the capital Oslo. “Our goal is for this project to serve as a model for other countries, and that we can help create a fully-fledged African digital library,” the Norwegian library’s director Aslak Sira Myhre said in a statement. The agreement, which is to be signed on June 10 in Abuja, will initially cover works written in the Hausa, Igbo and Yoruba languages, the library said. The costs will be shared, with the library in Nigeria responsible for collecting the works and the Norwegian one for carrying out the digitisation, with the transport covered by the Norwegian embassy in Nigeria. “The project has not been launched because the National Library wants to provide foreign development aid but because it enables us to enlarge our foreign language library, so this becomes a win-win project for us and Nigeria,” a spokeswoman for the Norwegian library, Nina Braein, told AFP. The National Library of Norway made headlines in 2014 when it announced it was putting virtually all Norwegian literature published before 2001 online and available free of charge, thanks to a pioneering agreement with rightsholders on the thorny issue of royalties. The digitisation of Norwegian works is expected to be completed this year. Nnamdi Kanu waves his hand and puffs in frustration: "Nothing seems to be working in Nigeria. There is pain and hardship everywhere. What we're fighting [for] is not self-determination for the sake of it. It's because Nigeria is not functioning and can never function." In 2015, when Nigerians went to the polls, hopes were high in the country that Buhari would improve on the security situation especially in the northeast of the country, end rampant corruption and revamp the economy. Buhari had inherited a broken system from his predecessor Goodluck Jonathan, whose party the People's Democratic Party, (PDP), had run the country for the last sixteen years but virtually failed to embrace good governance principles. Two years down the road, despite his bad health, Buhari has been able to improve on the security situation in northern Nigeria that had been run down by Boko Haram Islamists. Nigeria's minister of information and government spokesperson, Lai Mohammed, is full of praise for President Buhari. "When the President was sworn in May 2015 at the Eagle Square, about 20 local governments out of 27 in Borno state were under the control of Boko Haram. Four local governments in Adamawa and three in Yobe state respectively. As we speak today there is no single territory under the control or command of Boko Haram and that is not a mean feat," Lai Mohammed told DW. "Again, the president promised that he will do everything possible to ensure that the abducted Chibok girls were released." "In less than two years we were able to secure the release of over 100 of these girls. When you look at the phenomenon of insurgency and hostage taking all over the world you see that this is a very remarkable achievement," he stressed. Beyond the issue of restoring peace in north eastern Nigeria, the current government also boasts of fighting corruption in the country, with several corruption cases being heard in various courts within the country. The plethora of achievements as articulated by the information minister, however, seem not to impress some Nigerians who say that the government needs to buckle up and improve on their livelihood. "People cannot pay house rent and are struggling to pay school fees. We cannot properly feed our families," Juliana Obolonye said. Chesa Chesa, a resident of Abuja, also told DW that inflation was high in the country, and because of the economic recession, prices of food stuffs were on the rise. But he also reserved some praise for Buhari. "On the security front he has considerably performed well except for the frequent attacks between herdsmen and farmers in the plateau region. So security-wise, I can say kudos," Chesa said. Buhari's record in fighting corruption is what endeared Peter Inalegwu to his government. "We had no idea how corruption had wrecked our country until when he decided to clampdown on corruption," Inalegwu said. Despite the achievements that have been attributed to President Buhari, he has been away for most of the time in London seeking medical treatment. In his absence his deputy Yemi Osinbajo won himself admirers as the true hero behind these achievements. Dr. Garba Umar Kari, a political analyst and lecturer at the University of Abuja, thinks the Vice President Yemi Osinbajo did a commendable job in the abscence of his boss, Muhammadu Buhari. "He has been able to ensure that government programmes run smoothly, and to a large extent they [programmes] have not been adversely affected, "Umar Kari said. For now, Nigerians will have to wait for another two more years to decide whether or not Buhari carries on the mantle of leadership albeit health concerns. In Nigeria, the military has dismissed a rumour about a possible coup. 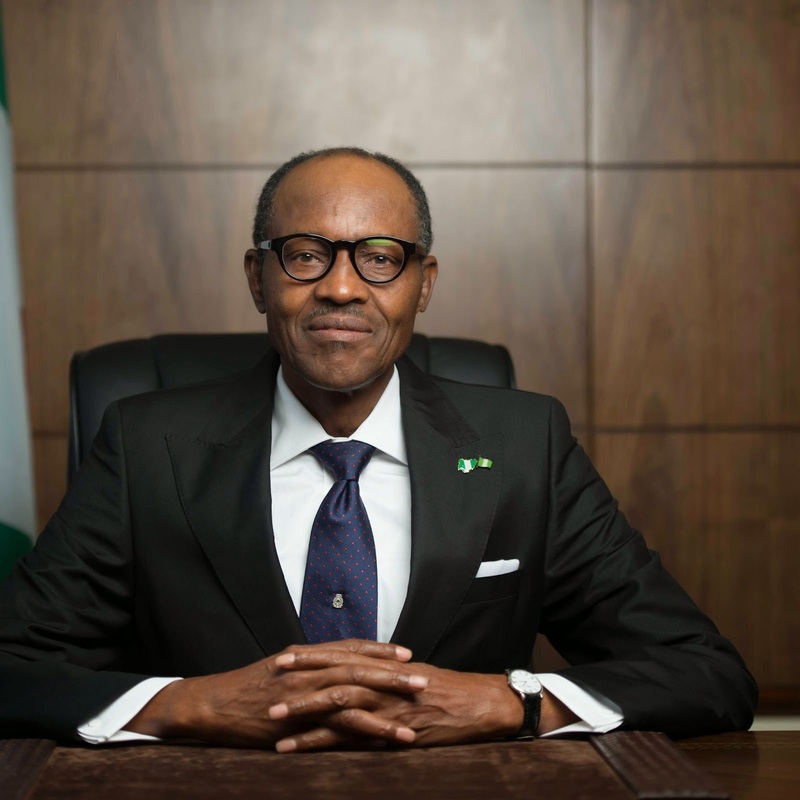 A spokesperson insists the armed forces remain loyal to President Muhammadu Buhari. The Federal Government is working out a prisoners’ transfer agreement with China, the Minister of Foreign Affairs, Mr Geoffrey Onyeama, announced in Abuja on Thursday. Onyeama made the announcement at a news conference on the achievements of the current administration since it came into power in the past two years. The News Agency of Nigeria (NAN) reports that thousands of Nigerians are being held behind bars in China for various offences, including those attracting death sentence. Human rights groups in Nigeria have, however, been drawing the attention of the Federal Government to the plights of the Nigerian prisoners. A group, the Black African Re-orientation and Development Organisation, recently told the government to secure the release of no fewer than 6,000 Nigerians in Chinese prisons. Onyeama said the release of the prisoners could not be facilitated because there was no existing agreement between Nigeria and China on the transfer of prisoners. “The issue of Nigerians in prisons in China is something we are dealing with and the prisoner transfer agreement is something we have to have an agreement on with China. The minister disclosed that government had stepped in to plead for commutation of prisoners on death row in the Asian nation. “The Federal Government has on several occasions reiterated that it would be impossible to get Nigerians on death row in different countries repatriated. Nigerian police are searching for six children abducted from their school on the outskirts of the main city, Lagos. The abductors freed four other children after "profiling" their parents, police said, apparently referring to the fact that they were not regarded as wealthy. The men came through a swampy forest bordering the state-run Model College school, and cut a hole in the fence to enter, police said. Schools in Lagos have been hit by several kidnappings for ransom. Four children were abducted from the same school in October 2016, and three from another school in Lagos in March this year. They were later freed. Lagos police spokesman Olarinde Famous-Cole condemned the abductions as "dastardly" and said an operation was under way to rescue the girls and apprehend the kidnappers. The Federal Government has declared Monday, May 29, as Public Holiday to celebrate the 2017 Democracy Day. The Minister of Interior, Abdulrahman Dambazau, made the ‎ declaration in a statement on Thursday in Abuja. The minister‎ congratulated Nigerians for witnessing yet another Democracy Day, marking the second year anniversary of the President Muhammadu Buhari-led government. ‎Mr. Dambazau assured Nigerians of the government’s continued efforts at achieving its three main targets of guaranteeing security, revitalising the economy and tackling corruption. “While a lot has been achieved in the areas of security, particularly in the North-East, and in tackling corruption, recent statistics released by the National Bureau of Statistics have shown tremendous improvement of the country’s Gross Domestic Product (GDP). “‎No doubt, the nation is closer to getting out of recession, particularly with the recently inaugurated Economic Recovery and Growth Plan (ERGP), which seeks to revitalise the nation’s economy soonest. He wished all Nigerians a happy Democracy Day celebration and enjoined them to join hands with the government in building a peaceful and enduring democratic legacy. The Federal Government has approved the closure of five foreign missions and embassies, Minister of Foreign Affairs, Geoffrey Onyeama said. Mr. Onyeama told journalists in Abuja on Thursday that the process for closure was underway and was also subject to the approval of the president. He did not name the affected embassies or missions. The minister said closing missions abroad was “extremely expensive”. Mr. Onyeama said the reduction of Nigeria’s foreign missions remains on the agenda of the Muhammadu Buhari administration. Mr. Buhari had said at the inception of his administration that the Federal Government would reduce the number of missions to save cost. Mr. Onyeama said: “The government is following up on that and we have sort of pre­pared the roadmap; we have started the implementation of that and made also recom­mendations in that context. “But in the long run it will be cheaper, but in the imme­diate and short term it is ex­pensive but we have started the process,” he said. A group of Nigerian performers have staged the longest marathon theatre performance on record. To break the record it took five days of open air non-stop performances. The worst disruptions in Nigeria's oil-producing Delta region are over, and production could reach 2.2 million barrels per day by the end of June. According to authorities the long-closed Forcados oilfield could be back to capacity by the end of June, enabling a return to nearly full production from what is typically Africa's largest oil exporter. Attacks in the Niger Delta had pushed production to just over 1 million bpd at certain points last year, which were the lowest in decades, but attacks have abated since the start of the year. The first Foracdos cargo from the main Trans Forcados export line loaded last week, though operator Royal Dutch Shell has said force majeure remains in place. Nigeria's central bank has kept its benchmark interest rate at 14 percent, after the statistics office said Africa's biggest economy contracted in the first quarter. Governor Godwin Emefiele says the bank's Monetary Policy Committee had voted to retain the headline rate. The statistics office has published data showing that Africa's biggest economy, in its second year of a recession caused by low oil prices, contracted in the first quarter by 0.52 percent. Nigeria’s economic worries are not yet over. Statistically, at least. With negative growth recorded for the fifth consecutive quarter,Nigeria’s economy remains mired in recession, according to newly published data by the National Bureau of Statistics (NBS). But, however slightly, the economy appears to be inching towards growth as even though the economy shrank by 0.52% in the first quarter of 2017, it represents an improvement compared to previous quarters. Analysts suggest the slight improvement in GDP growth could mean the worst could be over for Nigeria’s economy. 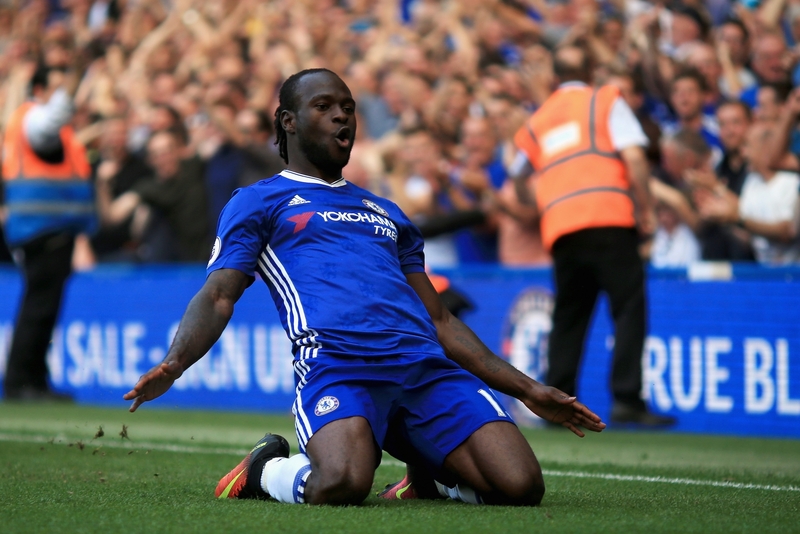 “The positive which can be taken from the figure is that the hemorrhaging has stopped, thus clearing the path to growth,” analysts at SBM Intelligence, a Lagos-based firm, commented in a note. The negative growth rate since the start of last year has been mainly attributed to a drop in Nigeria’s foreign revenues, following the fall in price of oil—Nigeria’s main export. But just as critical, a brief resumption in militancy in the Niger Delta, the country’s oil-rich south last year saw oil production levels tank to 20-year lows, making a bad situation much worse. However, with a peace pact agreed with Niger Delta agitators, NBS data shows an uptick in average oil production levels which have now reached 1.8 million barrels per day (mbpd)—the highest point since the first quarter of 2016—but still some way off desired levels of around 2.2 mbpd. Getting back to peak production levels is vital, not just for earnings but also to cushion the impact of a possible deal by OPEC to cut production. While OPEC agreed its first deal to cut production last November, Nigeria was exempt having suffered damage to its oil installations during militant attacks earlier in the year. But, with that deal set to be extended, that concession may no longer be available to Nigeria. Just as importantly, the Nigerian government has also sought to stimulate growth by making it easier to do business in a country where excessive red-tape and corruption has often made things difficult. Last week, Nigeria’s presidency ordered reforms at local ports in a bid to boost exports and diversify its revenue sources and back in February, Nigeria’s Immigration Service relaxed its entry visa rules for tourists and investors. Electricity supply will be disrupted in many parts of Lagos this week as Eko Electricity Distribution Company announced a five day power outage in the city. EKEDC spokesman, Godwin Idemudia, said in a statement that the outage would affect Ikoyi, Victoria Island and parts of Lagos Island from Wednesday to Sunday. Mr. Idemudia said the outage was to enable maintenance crew from the Transmission Company of Nigeria -TCN- to address technical and maintenance issues at Alagbon transmission station. The EKEDC spokesman said the company regretted any inconveniences caused by the five-day outage. He promised that supply would be restored to the affected areas as soon as the maintenance was successfully completed. A schoolgirl who escaped Nigeria's militant Islamists is not one of the 276 Chibok girls abducted in 2014, contrary to earlier reports, a presidential aide has told the BBC. Although this girl went to the same school in Chibok, she was abducted in a separate incident, Femi Adesina said. The 15-year-old girl was found by government troops while she was escaping. Boko Haram has captured thousands of people in north-eastern Nigeria. The abduction of the 276 Chibok girls is the most high-profile case but many others have never had any media attention or support, aid organisations say. Three years since the abduction, 113 Chibok girls remain in captivity. A total of 103 of the girls have been released so far, including 82 earlier this month in a prisoner swap. 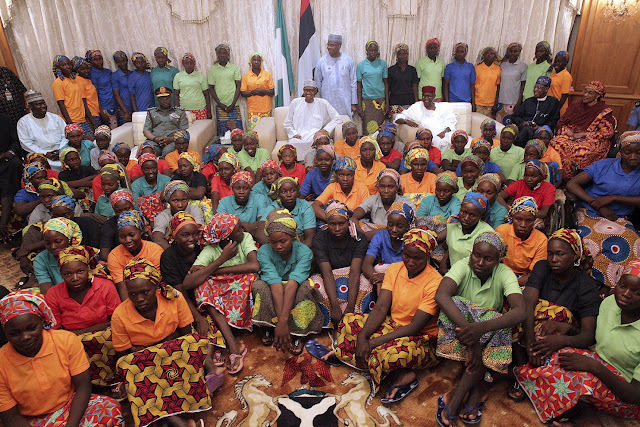 The 82 girls, who met Nigerian President Muhammadu Buhari on 7 May, are expected to be reunited with their families later this week. They are believed to have been swapped for five Boko Haram commanders. Last month, President Buhari said the government remained "in constant touch through negotiations, through local intelligence, to secure the release of the remaining girls and other abducted persons unharmed". Aside from the Chibok girls, Boko Haram has kidnapped thousands of other people during its eight-year insurgency, which is aimed at creating an Islamic caliphate in north-eastern Nigeria. The government says more than 30,000 people have been killed, and hundreds of thousands forced to flee their homes. Aid agencies are warning of a famine in the area, as people have not been able to farm for several years. Traditional three-stone ovens are common in rural communities across Africa. However, they pose serious health risks as a result of their high carbon emissions. And that's over and above their environmental impact due to deforestation. One Nigerian woman has designed a safer, greener stove that could change millions of lives in rural communities across the country. A schoolgirl believed to have been abducted by Boko Haram three years ago has been rescued by government troops while "escaping from captivity", Nigerian officials said on Wednesday. Femi Adesina, a presidential spokesman, said the girl was found less than two weeks after 82 others were released by their abductors in exchanged for five Boko Haram commanders. "The details are yet to fully unravel. But in terms of is it true? Yes, it is true. I learnt she is already being brought to [the capital] Abuja but I have not seen her," Adesina told reporters. He added that Vice President Yemi Osinbajo, who is acting president while President Muhammadu Buhari is on sick leave, informed senior ministers of the rescue at the weekly cabinet meeting. Presidential aide Bashir Ahmad also confirmed the rescue on Twitter, saying the girl was "found by Nigerian troops while she was escaping from captivity". The schoolgirl is believed to have been among the 276 pupils seized by Boko Haram from a government school in the town of Chibok in April 2014. Fifty-seven escaped in the immediate aftermath. Of the 219 who did not manage to flee, 106 have either been released or found, leaving 112 still missing. The government has said that talks for the release of the remaining schoolgirls still missing are under way. The abduction drew international attention to the armed group, while the Nigerian government's failure to act quickly to free the girls spurred a global Bring Back Our Girls movement. Some 20,000 people have been killed and about 2.3 million displaced since Boko Haram started its armed campaign in 2009. Video - Can Nigeria's Chibok girls ever be truly free? Eighty-two of Nigeria’s Chibok schoolgirls are free thanks to a prisoner swap between the Nigerian government and Boko Haram. The release is the biggest since the armed group swarmed a school in northern Nigeria in April 2014, kidnapping 276 girls. News of the deal has brought both happiness and anxiety as families wait to hear if their relatives are among those freed. Aisha Yesufu, of the #BringBackOurGirls campaign, told Al Jazeera that counseling and rehabilitation must now be a priority. "At the end of the day, we want to have world leaders out of every one of them so that they can be what the terrorists did not want them to be," Yesufu said. But critics of the campaign say the girls have become too famous to ever truly be free. Writing in the New York Times, Adaobi Tricia Nwaubani said: "The campaign made them famous and, as a result, precious to the jihadists. The military says it can't guarantee their safety if they go home, so they remain essentially prisoners of the state." Peter Joseph, a family member of one of 21 girls released by Boko Haram in October 2016, agrees. Those girls are in a government rehabilitation camp where they rarely see their families. "I think it’s another kind of imprisonment," Joseph told The Stream. So when it comes to rehabilitation, what is the best way forward? And can the Chibok girls ever really be free? Nigeria's Central Bank is facing the difficult task of harmonising the multiple foreign exchange rates in the country, some of which it ironically created. There are at least six exchange rates for various market segments in the country and the apex bank has been opening more windows in an attempt to bridge the gap between the official rate and that of the black market. China has provided Nigeria with 5 million dollars in emergency humanitarian aid to support relief efforts in the north-east. The contribution is to help purchase food and support for hundreds of thousands of internally displaced persons in Borno and Yobe States. The World Food Programme says the aid comes at a crucial time. The governor of Borno State, Kashim Shettima, has thanked the Chinese government for its invaluable support to Nigeria. The British Broadcasting Corporation has apologised to the Emir of Kano, Muhammadu Sanusi II, over claims that he was under probe by anti-graft officials for alleged mismanagement of Kano Emirate fund. Jamie Angus, editorial director at BBC, informed Mr. Sanusi that an April 24 story that said the traditional ruler was amongst those being investigated in connection to alleged misappropriation of about N6 billion Emirate Council fund was "not correct." Mr. Angus explained that the station's editorial staff in Abuja had inaccurately translated an April 24 interview with Muhyi Magaji, the Chairman of Kano State Public Complaints and Anti-Corruption Commission, who allegedly stated that Mr. Sanusi was under investigation. "The recording of the interview was passed to another colleague in Abuja office, summarised in a despatch and then sent to London where the online report was written and published. "It is now clear from our investigations that the reports did not accurately reflect what we were told by Mr. Magaji, who had, in fact, made clear to our reporter that you had not been invited in for questioning and indeed that it was unlikely that there would be a need to invite you for question. "Accordingly, the report we published suggested that you were under personal investigation was not correct and for that I offer my sincere apologies," Mr. Angus said. In the apology letter, dated April 28, 2017, Mr. Angus said the BBC removed the inaccurate interview from its website on April 26, but PREMIUM TIMES' check revealed that Hausa version of the report was still live as at 9:06 p.m. Tuesday. Mr. Magaji said his commission was investigating the Kano Emirate Council as a body over alleged misappropriation of up to N6 billion, but not Mr. Sanusi as an individual. But the Emirate Council denied allegations of fraud and said the amount involved was only N4.3 billion. Femi Kuti has broken the World record for the longest single note held on a saxophone at the New Africa Shrine. He attained the feat on Sunday at the New Africa Shrine as shared by his sister, Yeni Anikulapo-Kuti on her Instagram page @yenikuti. 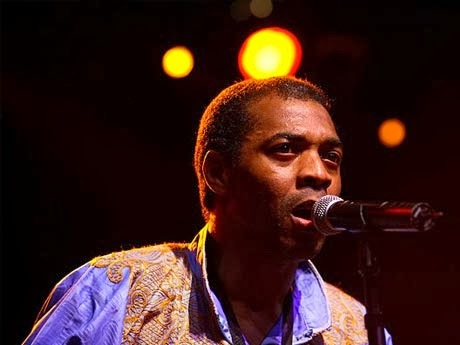 “This evening 7th May at the New Africa Shrine, Femi Kuti broke the world record for the longest single note on a saxophone note set in 1997 by Kenny G.
The record stood at 45mins 37 seconds….Femi did 46mins 38seconds!! Give it up, we have a world champ. This was witnessed by a large audience that included Sen. Ben Murray-Bruce, the deputy high commissioners of Netherlands and The United Kingdom.“ The record was previously first set in December, 1997 by legendary saxophonist Kenny G when he held an E-Flat for over 45 minutes. Kenny G was reported to have used a technique called Circular Breathing, which keeps a steady stream of air flowing through the saxophone even as the player breathes. For Femi Kuti, it is unclear yet what technique he used or even, the member of the sax family he used to achieve the massive feat. He started playing the sax when he was 15 and joined his father’s band “The Egypt 80.” He later formed his own band, “Positive Force’’ in the late 80s. Femi, four-time Grammy award nominee, is skilled on other musical instruments including the trumpet and the piano. According to media reports, Femi awaits an official recognition by the Guinness World Record. President Buhari left Nigeria on Sunday night to seek treatment in London. According to his office, Buhari will be going for follow up medical tests. Buhari returned to Nigeria two months ago after receiving medical treatment in Britain. Officials have refused to disclose details of his medical condition. Buhari's health has been a major cause of concern in a country where there are fears that a power vacuum could affect its recovery from recession. Last month his office ordered an investigation after the head of the national intelligence agency was suspended over corruption allegations. Nigerian militant group Boko Haram's leader has reportedly been injured and one of his deputies killed in an air strike. According to sources, who spoke to AFP news agency, Abubakar Shekau was wounded last week, during bombings carried out by two Nigerian Air force jets in northeast Nigeria. The Air Force jets had attacked the insurgents, who had gathered for prayers in a village 40 kilometres from Damboa, on the edge of the Sambisa Forest. The sources say Shekau was just leaving a house nearby for the mosque, when the first jet struck. He is believed to be receiving treatment around Kolofata area. The air force says assessment conducted after the strike has shown that several leaders of the Boko Haram terrorist organisation and their followers have been killed during the attacks. Nigerian authorities have claimed to have killed Shekau on at least three occasions. Boko Haram has killed over 20,000 people and displaced more than 2 million from their homes. As Anthony Joshua slugged it out in the ring with Wladimir Klitschko last Saturday for boxing's world heavy champion, it was not only the British who were rooting passionately for him, millions of Nigerians too were because of his Nigerian heritage. 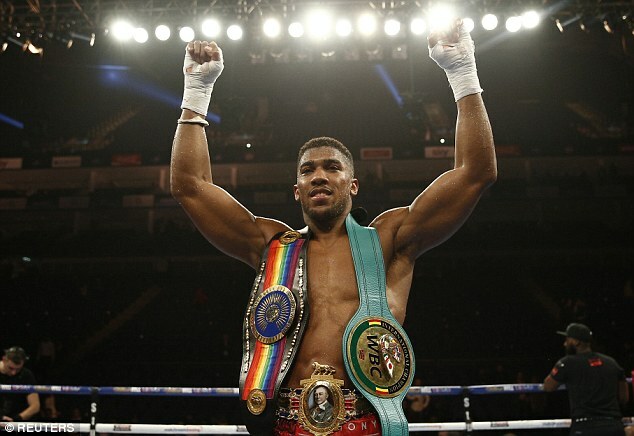 Both of Joshua's parents are Nigerians and there was a huge euphoria in the country when he beat Klitschko to become the heavy weight champion of the world. Nigeria manufactures nearly 90% of its cement locally, but a recent 40% price hike has significantly slowed growth in the country's real-estate sector. ‘Gold diggers,’ ‘sextortion sisters,’ ‘prostitutes,’ – the Matharoo’s have heard it all. The women say they were then placed under police protection at a new hotel near the airport. A few days later, the women say Otedola arrange to have them brought to his home where they would record the now infamous apology video. He has not been seen in public for more than a week. His wife Aisha Buhari had tweeted on Tuesday that her husband was not as sick as is being perceived. In March, Mr Buhari returned from seven weeks of medical leave in the UK where he was treated for an undisclosed illness. In her tweets, Mrs Buhari that he was continuing to "carry out his responsibilities" and has been meeting with ministers. She also thanked Nigerians. Vice President Yemi Osinbajo, who was the acting president while Mr Buhari was away in the UK, is chairing the cabinet meeting in the capital, Abuja. Earlier this week, a group of prominent Nigerians has called on Mr Buhari to take medical leave as concerns about his health grow. He uncharacteristically failed to show up at last Friday's prayers at the mosque on state house grounds. Information Minister Lai Mohammed told the BBC that the president's health was "a personal matter" and that Nigerians have been kept aware of his condition. Nigeria's liquefied natural gas company, the NLNG, is on a collision course with the country's parliament after it criticized plans by lawmakers to introduce a law to compel the gas firm to pay a levy, which is about three percent of its annual budget. The NLNG warns that if the bill is enacted, it could have a detrimental effect on new investments in the country's oil and gas industry.